I will never forget how God started pointing me to his scriptures on ‘justice.’ I printed off every scripture that had the word ‘justice’ in it and started going through them one-by-one. Granted it only lasted about 3 months…but God started me on a journey with it and marked me with Isaiah 58. I am thankful every day for this journey of moving closer to God’s heart. I am even more thankful for the moments he has opened my eyes to the injustice that makes him angry, too. I don’t want to live blind to the injustice in the world, and your comfort shouldn’t convince you that that your eyes should remain shrouded. Choose to fight with God. Choose to fight for fairness. Choose to educate yourself, and be in relationships with those that suffer injustice. God does not equal earthly security, but he does equal eternal security. Don’t allow your comfort to fool you otherwise. Injustice makes me scream out like Habakkuk in Habakkuk 1:2-4. 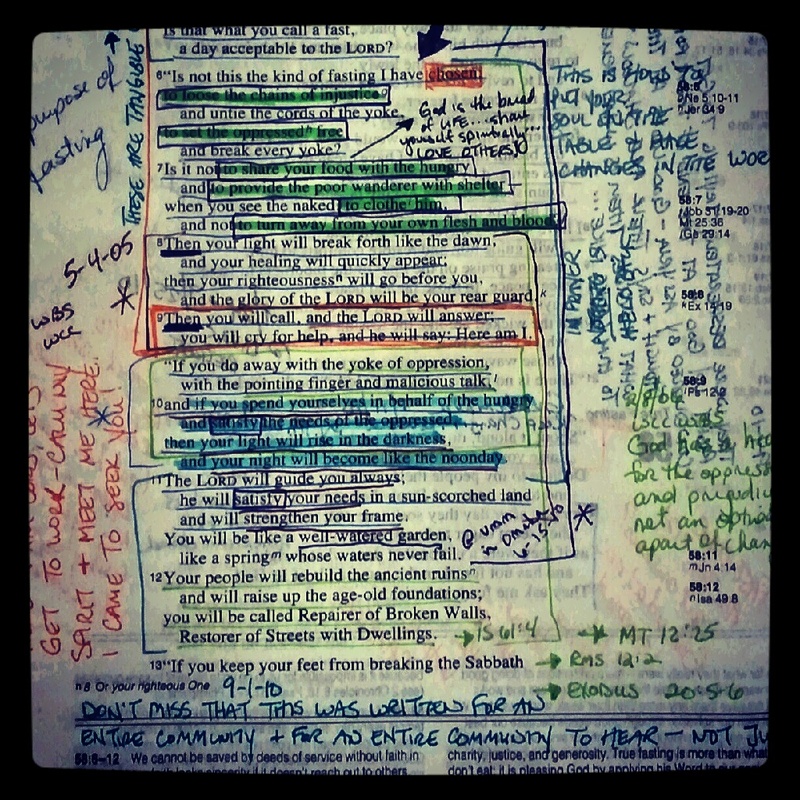 The more you look at the scriptures the more you see, in the end, God restores, renews and rebuilds. Now that is something to put your hope in…God taking wrongs and making them right. This entry was posted in Mission, Real. Life. and tagged Bible, God, Habakkuk, heart of God, injustice, Isaiah 58, journey, justice, Rethink Church. Bookmark the permalink.